The perfect pillow equipped for any space, this piece maintains elements faultless from room to room. Whether you find yourself looking for a fun design for your child’s room, or a subtly chic piece for your living room, the bold brown coloring and upbeat texture of this design is the paramount of polished design. This pillow contains a zipper closure and provides a reliable and affordable solution to updating your home’s decor. Genuinely faultless in aspects of construction and style, this piece embodies impeccable artistry while maintaining principles of affordability and durable design, making it the ideal accent for your décor. 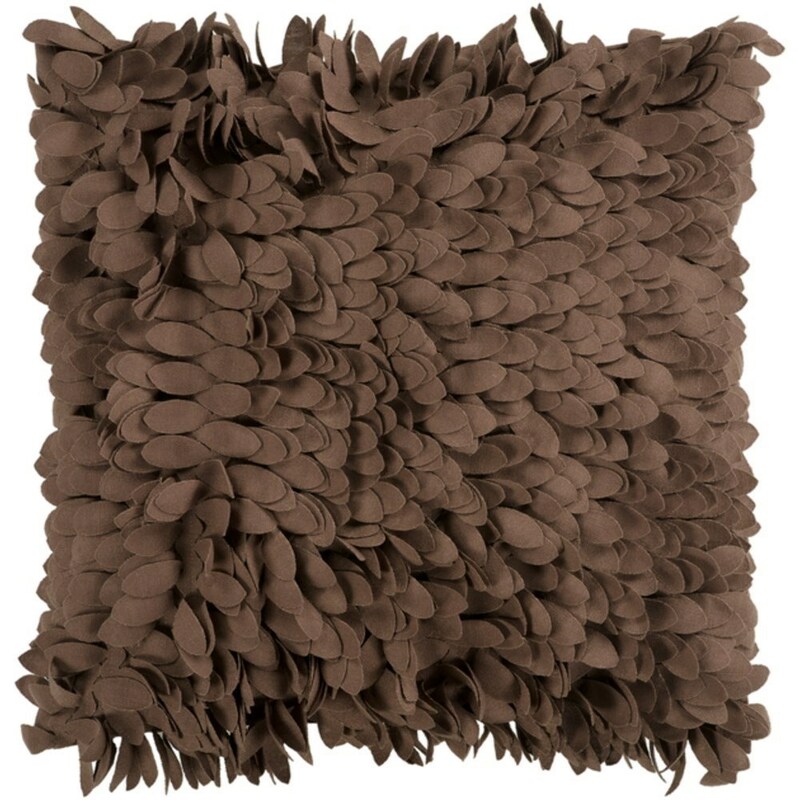 The Claire1 18 x 18 x 0.25 Pillow Cover by Surya at Suburban Furniture in the Succasunna, Randolph, Morristown, Northern New Jersey area. Product availability may vary. Contact us for the most current availability on this product. Browse other items in the Claire1 collection from Suburban Furniture in the Succasunna, Randolph, Morristown, Northern New Jersey area.